In need of a little pick-me-up? 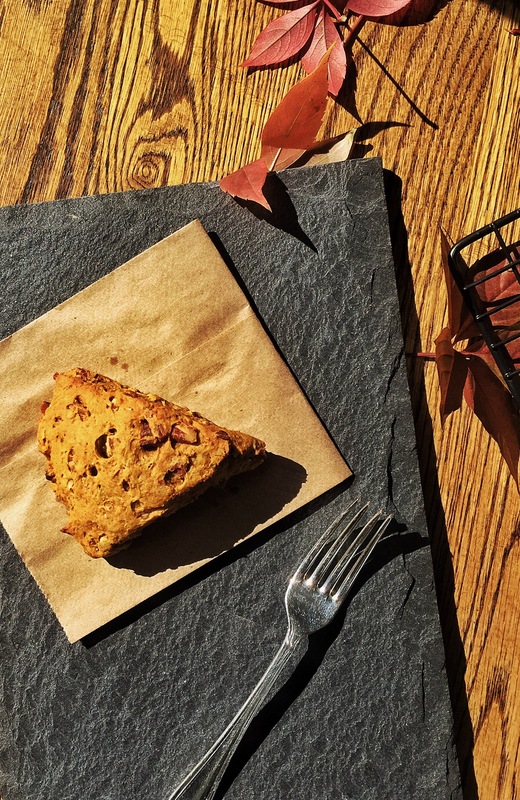 How about a warm, light, flakey, spiced pumpkin scone, it’s finally the weekend! Our family had these for Thanksgiving breakfast. They took my mom 20 minutes to whip up, and even shorter for my family to devour all of them. Needless to say, I didn’t have much time to snap photos before the vultures (my siblings) swooped in. My mom made me an entire batch today to freeze. She puts them in individual freezer bags, so I can pull them out on the weekends and have a warm breakfast. Go mom! Before you get baking, let me explain how easy scones are to make. Maybe because the word ‘scone’ sounds British and intimidating, people are afraid to tackle scones. But in reality they are one of the easiest pastries to make. No waiting for the dough to rise, no work the night before. Just as simple as making a batch of cookies. I promise! And totally customizable. A basic scone is butter flavoured, so you can get creative, and fruit preserve, nut, spice, or herb combination you can dream of! Enjoy! Fall won’t last long! Add flour, oats, almond meal, baking powder, brown sugar, pumpkin pie spice, and salt to a food processor and process until well combined. Add butter and pulse until pea-sized. Transfer flour mixture to a large bowl. 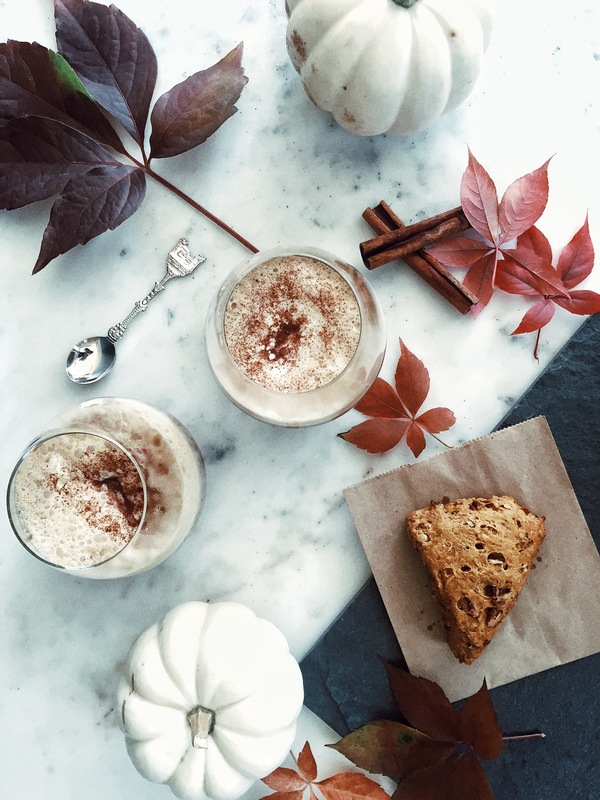 In a separate bowl, whisk together the almond milk, pumpkin puree, eggs and vanilla extract. Add wet ingredients to the dry and mix until just combined. If it’s still too sticky, add a bit more flour. Transfer to a floured surface, working with well-floured hands, and delicately pat into a 1-inch thick circle. Cut into 8 even sections and transfer to a parchment or silicone lined baking sheet. Bake for 22-24 minutes or until the bottoms are light golden brown and they look a little toasty on top. Remove from the oven and let cool on a cooling rack for at least 5 minutes before adding a dollop of Coconut Cream. 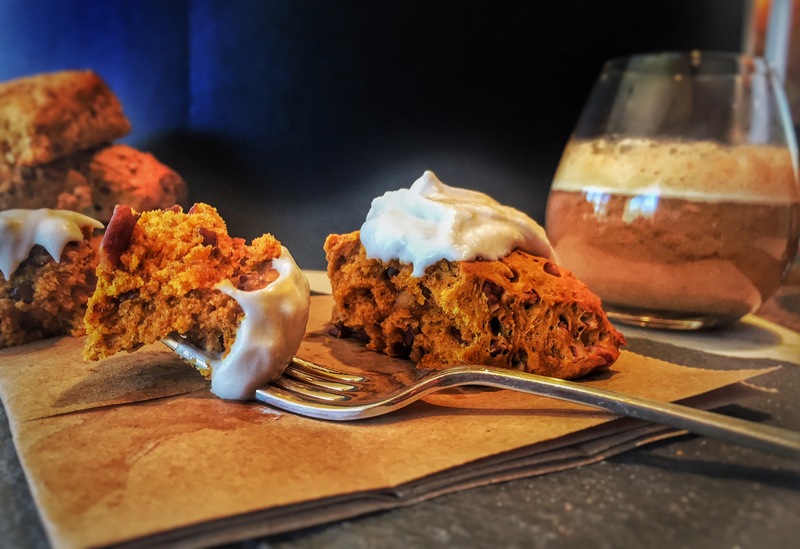 The scone batter was altered from Minimalist Baker’s pumpkin scone recipe. The Whipped Coconut Cream is all mine..recipe here. Your photos, and this recipe, are absolute PERFECTION! Holy, I totally want one of these right now. BTW, I just discovered your blog and absolutely love it. Thank you for sharing such awesome recipes – I can’t wait to try them out!